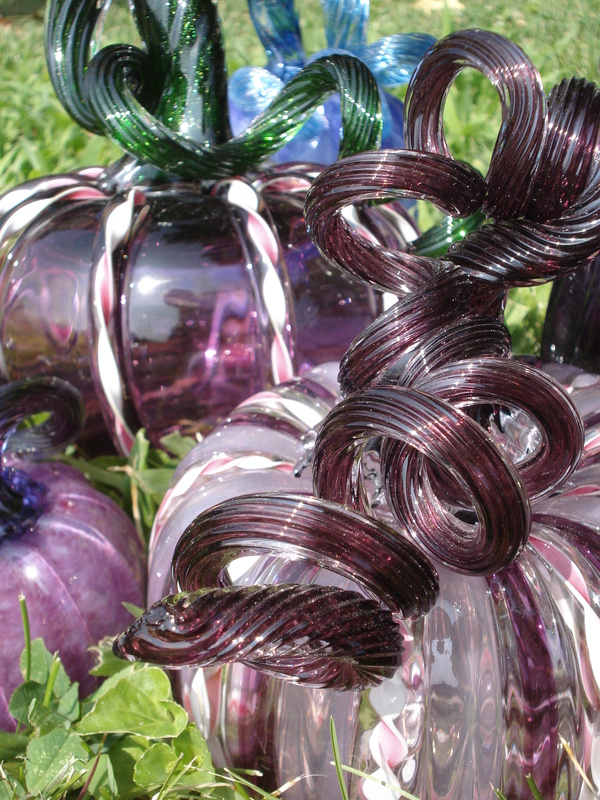 Learn in classes and through an apprenticeship how to make glass pumpkins. First I need some color for my pumpkin. 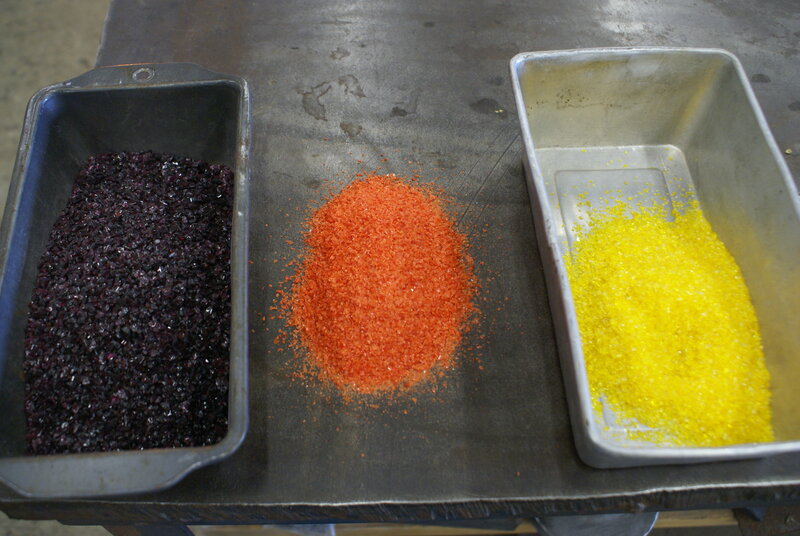 I use glass frit, crushed up colored glass, that sticks to the hot glass like sprinkles on ice cream. 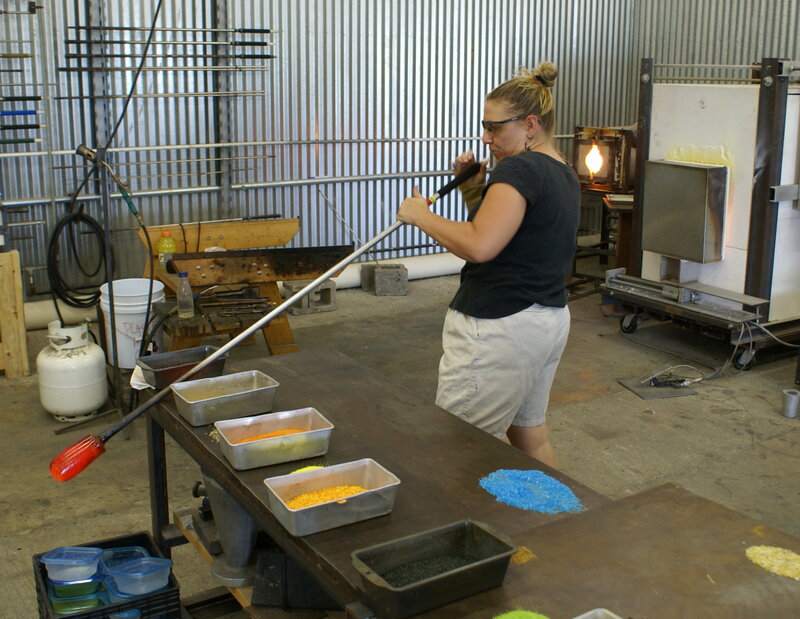 Next I shape the glass and start to blow up the body of the pumpkin. 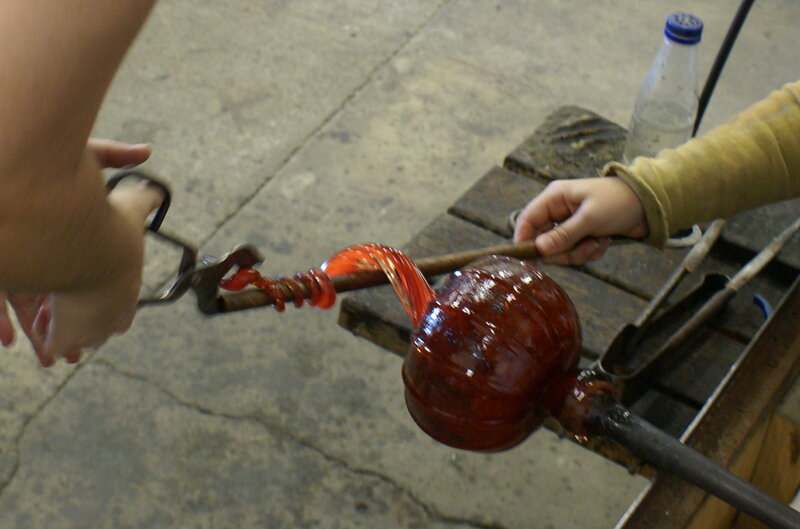 ...And madly wrap the hot glass around a pipe to give it it's distinctive curls. 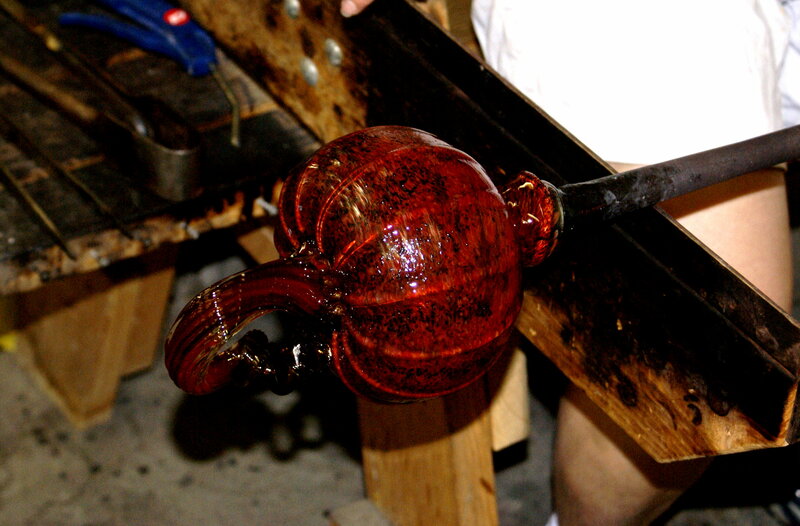 I give the pumpkin a little more heat just to make sure everything is where I want it. 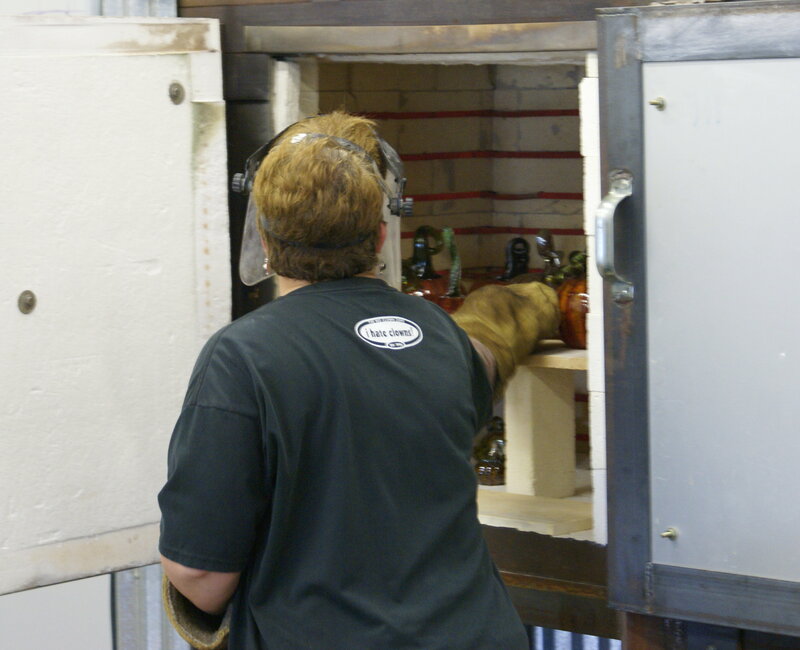 We put it away in a kiln so it can slowly cool off. 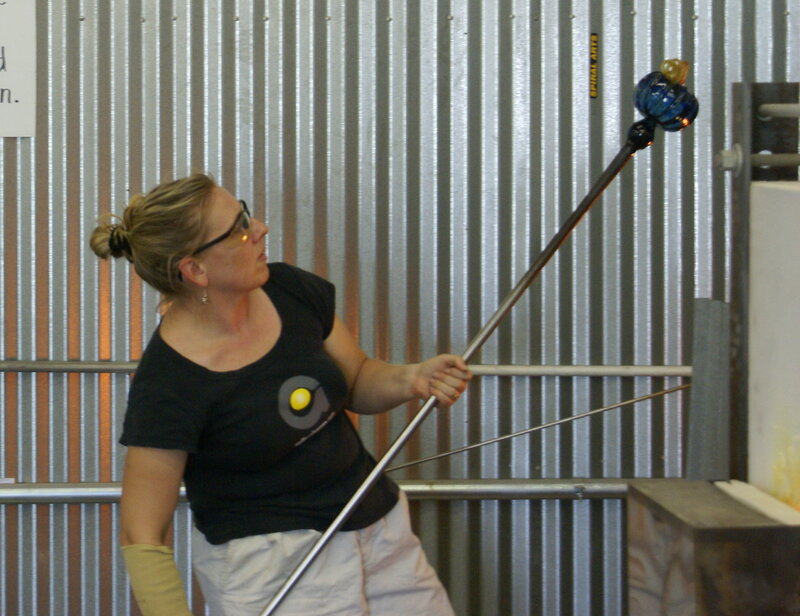 Tomorrow we can open the kiln and see what we have!